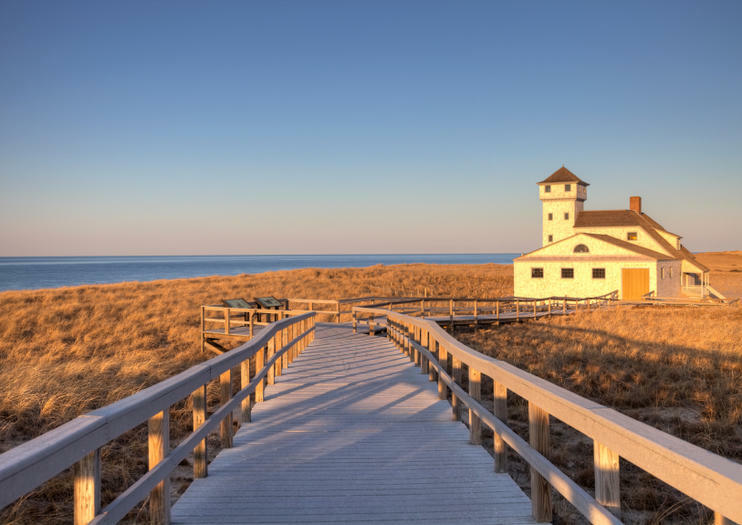 Just 90 minutes from Boston by ferry or car, Cape Cod offers a peaceful getaway from the city. Soak up some history in Plymouth or Hyannis Port, enjoy a relaxing cruise, or try some of the area’s superb seafood. Here is what to know before you go. Visit the John F. Kennedy Memorial in Hyannis Port. Enjoy a sightseeing cruise along the Cape Cod Canal, or take a fast catamaran from Boston to Provincetown. Stroll through the Cape’s charming seaside villages. Explore historic Plymouth, including Plymouth Rock and the Plymouth Plantation Museum. Learn about the history of Sandwich, the oldest town on the Cape. Hyannis Port is set about 73 miles (117 kilometers) from Boston, a journey of about 1.5 hours by road. Full-day trips can last up to 11 hours, so prepare for a long day. Pickup is available from select downtown Boston hotels. The fast catamarans only run only in the summer and early fall. Some Cape tours run only on a seasonal basis.